On March 24, the news of ball tampering coming from South Africa shocked the whole cricketing world. Aussie opener Cameron Bancroft was caught rubbing the ball against a yellow tape in a camera footage. Ball tampering is an action in which fielder illegally alters the condition of the ball. Ball Tampering is generally done to achieve more favorable bowling conditions, or to obtain reverse swing. Players try to use sweetened saliva or mint to shine one side of the ball and make it heavier or they try to make a side rough by rubbing it against rough substances. Ball tampering is illegal and against the spirit of the game. There have been a lot of incidents of ball tampering in the past, but the reason this incident is catching so much fire and making the headlines is because of the players involved in it and the method used to tamper the ball. Steve Smith, the Australian Captain admitted that the 'Leadership Group' of the team including himself planned to tamper the ball during the lunch break. And after the lunch break, opener Bancroft was seen rubbing a yellow tape on the ball, which he hid inside his trousers. He later explained that he tried to pick up some granules from the wicket on the sticky tape and rub it against the ball in order to make it rough and obtain reverse swing from it. 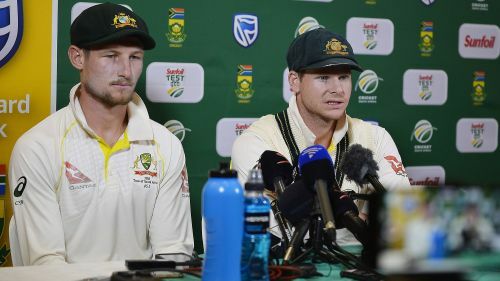 International Cricket Council (ICC) handed a one-match suspension to Smith and fined 100 percent of his match fee, whereas Bancroft did not suffer any suspension and was only fined with 75 percent of his match fee. However former International Cricketers have blasted the world cricket body for being 'spineless' and 'weak'. Harbhajan Singh once again stood up against the double standards shown by some foreign players and the partiality shown by ICC. Just a month ago after the South African tour former Aussie Captain Steve Waugh said that Virat Kohli should rope in his emotions on the field. Kohli has always been a target for these foreign cricketers for his aggressive style of play, which is under guidelines issued by the ICC Code of conduct, but none of them is now speaking against Smith and Co. now. But CA has given strong indications that even if ICC has let its player go easily, they won't accept any unfair means of play and will take strict actions against those found guilty after an investigation. This news is spreading like wildfire in Australia and both the media and Australian Cricket fans are angry and heartbroken after this news came out. Even the Australian Prime Minister Malcolm Turnbull said that it is "beyond belief" that the national cricket team was involved in "cheating" during the third Test match against South Africa. With the famous leaders of Australia keeping an eye on this scandal, it's very unlikely that Smith and Co. will be spared. CA has sent Chief Executive James Sutherland to South Africa in order to assist with the ongoing investigation whose verdict is said to be out by Wednesday. The verdict can be very severe, Steve Smith may be sacked from the captaincy permanently. The seriousness of this scandal is evident from the fact that Smith and Warner both stepped down from their roles as the captain and vice-captain on the fourth day of the 3rd test, and Tim Paine took over the captaincy in the middle of the Test match. Such unfortunate hurt the integrity of the gentleman's game and fans will have to wait till Wednesday to hear CA's decision over its players.